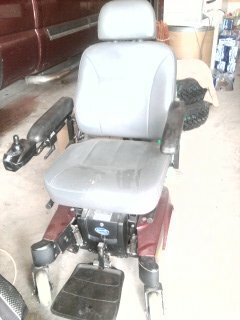 This is a used Pronto Mobility Chair For Sale that my mother bought over 10 years ago that is no longer needed since she passed away several years ago. Since that time the chair has been sitting in my garage and only used once or twice in the past few years. 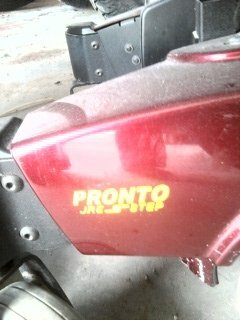 The Pronto is in good condition and I would like to sell it quickly. If you have any questions regarding the Pronto scooter or if you would like to make an appointment to see it in person or make payment and pick up you can do so using the space below that has been provided by GoGoCycles Used Motor Scooters for Sale . 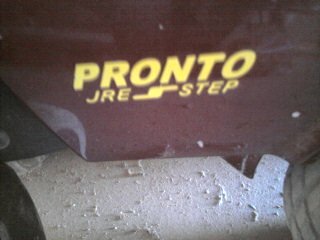 In my opinion there is not a better deal on a used Pronto chair for sale as this one in Logan, IA, Iowa USA, on Craigslist or on Ebay. GoGoCycles would also encourage our biker friends to write a review of the Used Pronto Mobility Chair For Sale or share any thoughts and/or opinions to make potential buyers aware of any problems that are commonly associated with this brand or to highlight its positive features and help our visitors make informed decisions. The price I have on this mobility chair is a very good price and it probably will be gone fast so email before it's gone and don't forget to mention that you found this ad on GoGCycle's Motorcycle Classifieds www.gogocycles.com using the comments forms located on this page. I have sold the chair. Can't seem to find how to remove the listing from the website. Sorry. I'm 76 years old, I have osteoarthritis, copd. my hips are bad. 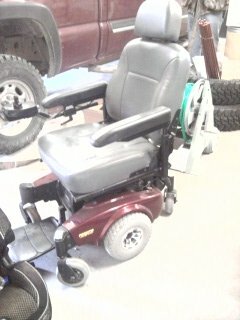 Medicare or Tricare wont provide me one because I am able to walk around in the house. I like to tinker outside, but its real hard with all my ailments. I cant afford what I have seen for sale. My SS and military retirement, cannot cover one. If anyone has a decent one for a reasonable price please let me know. Had a stroke in 2007 and am in need of a mobility chair. I am awaiting my disability claim and would like to know price on chair . nine102 nine 7eight 337. My name is Charles : ) .